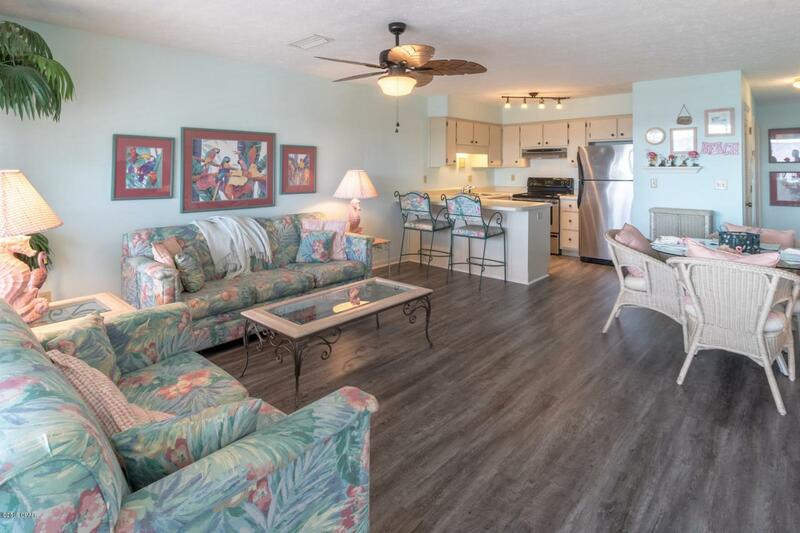 Move into a completely renovated building in one of the most desirable locations in PCB! Over the past year, building H has been transformed - the renovation of the entire complex is scheduled to be complete at the end of summer. Just 10 miles south of the airport, 2 miles west of Pier Park, 1/2 mile east of Thomas's world-famous Donuts, and feet away from the world's best beach - the crystal clear waters of the Gulf of Mexico are less than 2 minutes from your door. The back balcony provides a Gulf view and overlooks a tranquil protected marsh where the frogs provide a serenade after each day's beautiful sunset. Recent updates to the interior include new waterproof flooring, light fixtures, outdoor furniture, and fresh paint.Has been a second home -- never been rented. Southwind has a great rental history in the country's Number 1 rental destination, with amenities such as clubhouse, pool, shuffleboard, and tennis. Listing provided courtesy of Luxury Properties Real Estate. Listing information © 2019 Central Panhandle Association of Realtors MLS.